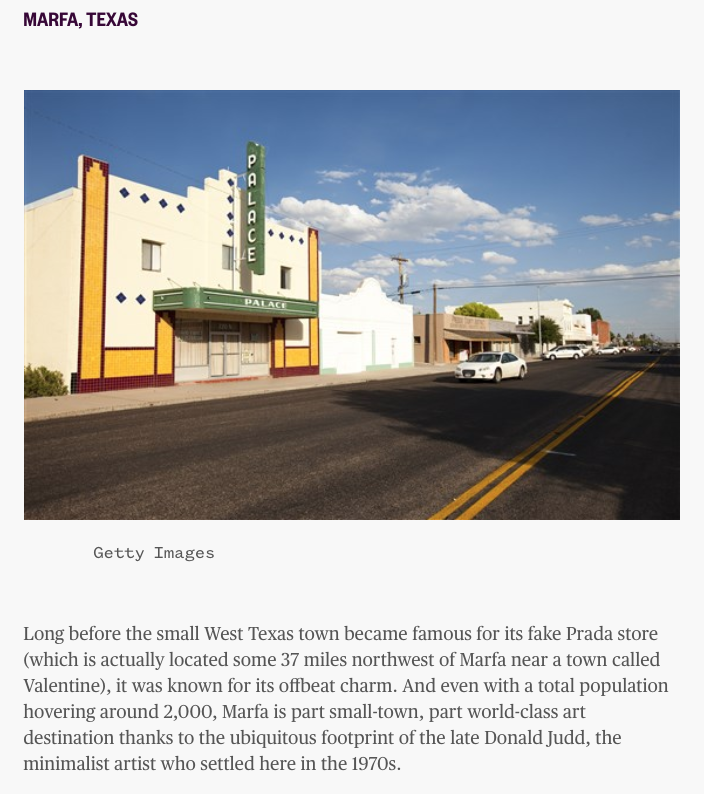 "Marfa Road Trip: Thelma and Louise, With a Happier Ending"
"During our four-day road trip, our home base was El Cosmico, a quirky hotel and campground on 21 acres, filled with vintage trailers (Beth and I stayed in a 24-foot, 1950s Branstrator with a turquoise-painted top), Sioux-style teepees and yurts. 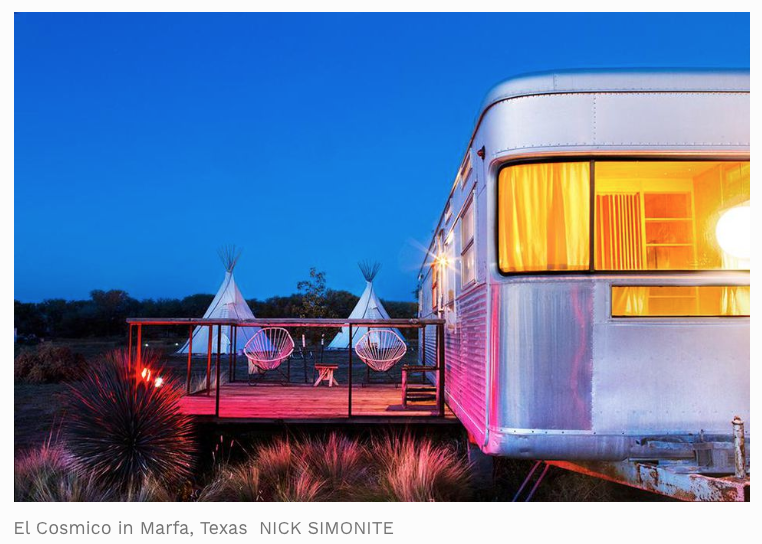 Sara and Miriam holed up in a bright pink 1953 Vagabond trailer." 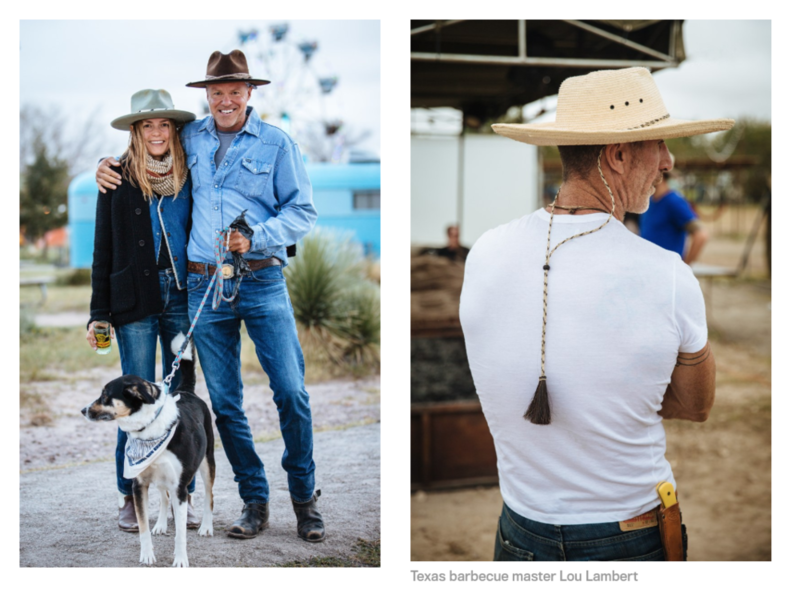 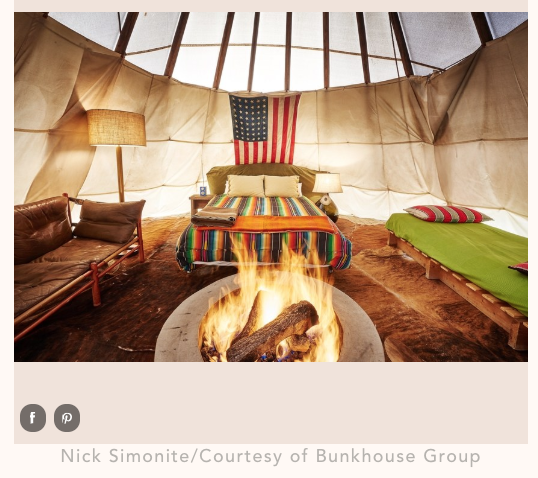 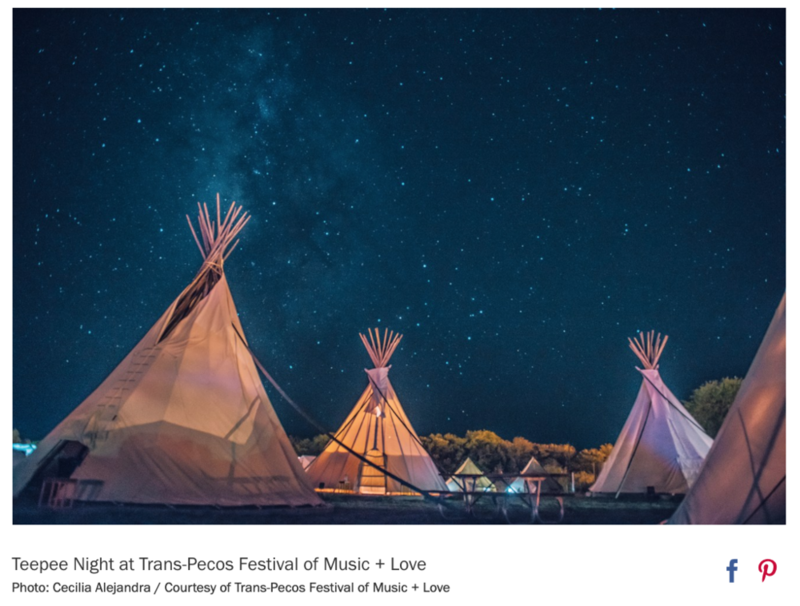 "Where To See Art In Marfa"
"An extension of Austin-based hotelier Liz Lambert’s collection of tepees, tents, yurts, and vintage trailers known as El Cosmico, the Brite Building embodies the same creative spirit but has actual walls and doors."